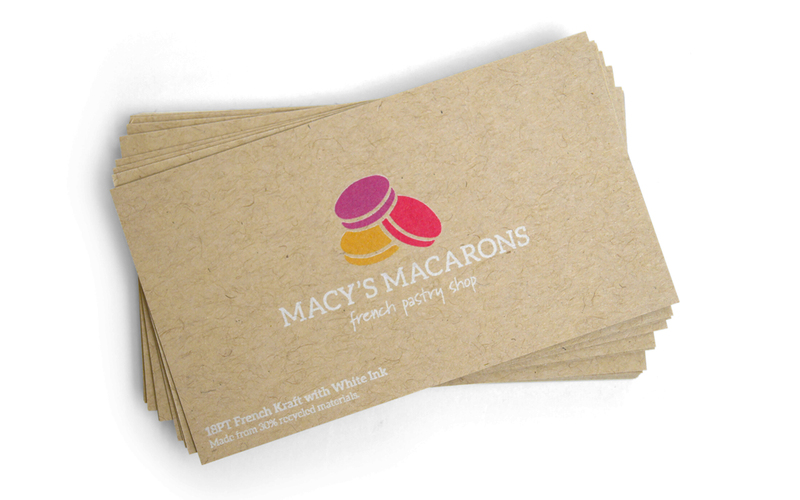 What is French Kraft paper? Learn about this beautiful paper, file setup with white ink and other helpful tips when creating a white mask. French Kraft paper is light brown with natural fibers and subtle visible flecks lending it a natural, organic look and feel. The uncoated smooth finish provides excellent print quality, while the colored stock adds warmth and a rustic appeal to images. Optional white ink can be applied in specific areas or all over giving you the flexibility to add contrast and brighten images. French Kraft has the option to add white ink as an overprint. The white will be a base for the CMYK providing a bright white surface which will allow for vibrant, crisp color. Areas without white ink will appear darker due to the color of the stock. Note: White Masks must be made in vector format and be saved as a PDF. 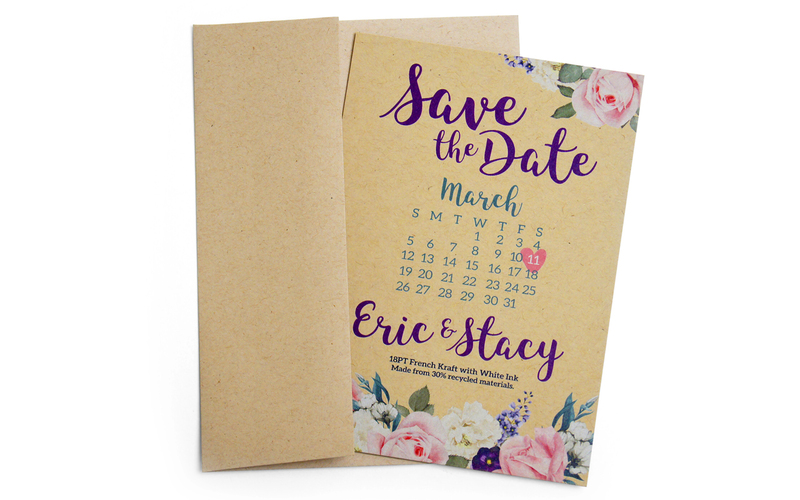 Appropriately sized (A2, A6, A7) 80lb French Kraft blank envelopes are offered as an option with our French Kraft Greeting Cards and Announcement Cards.